Nerdy Necromancer is running a Kickstarter campaign for their new knitted dice bags. They've made their funding already (granted, it wasn't much, but still) with still 25 days to go. What’s cooler than walking into you regular D&D or Pathfinder group with a handcrafted crochet dice bag? How about walking into your game with a death inspired handcrafted crochet dice bag! 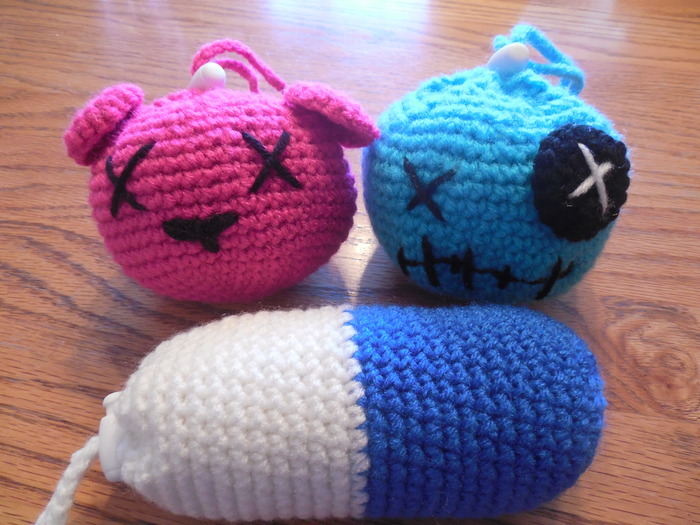 Im coming to kickstarter to launch my awesome necromancer series dice bags! I’m a long time gamer I know that these bags will make you the envy of your table, whether you’re a player or DM. Each product is handmade by me and me alone for you. If you have specific ideas or requests for color, size, or even adding something a small as a strip pattern please let me know. I’m open to any new ideas that will make your dice bag a one of a kind.